Gemma is a powerful teacher; very influential and positive. We are left with a positive birth attitude. I am a practising NHS midwife, Birth Trauma Resolution therapist and Scotland’s only Natal Hypnotherapy practitioner and Mum. With more than 10 years experience teaching antenatal education I have now successful supported hundreds of couples to have a positive and calm birth. What makes me unique is that I am not only a midwife but also a therapist and a Natal Hypnotherapy mum. With a background as a massage therapist & NLP practitioner and almost 2 decades experience of in-depth meditation practise, I have also travelled extensively throughout Asia where I have studied many unique mind and body healing techniques. I combine this knowledge with my experience of supporting hundreds of woman as a NHS midwife to offer unique Hypnobirthing workshops in Edinburgh, and nationally and internationally via Skype. I enjoy teaching midwives and student midwives within Edinburgh Napier University and NHS Lothian where I have been invited as a guest lecturer to speak about Natal Hypnotherapy and active birth. I am regulary invited to talk on Radio to share my experience, as well as to speak to professional groups such as health care professionals and therapist about birth and perinatal trauma. Woman & their birth partners work with me for a variety of reasons; including anyone wanting to have a more positive or natural birth experience, to some who may have previous birth trauma or Tokophobia. My research based and practical approach will prepare you for your birth regardless of whether your pregnancy has been deemed ‘high risk’ or ‘low risk’, and whether you are planning to birth in hospital or at home. I love sharing what I do, because I believe in it and am so inspired by the consistently positive birth stories from the couples who have worked with me. My workshops have been described as ‘necessary, inspiring, incredible, practical, funny’ and my favourite ‘not airy fairy’! I have used the skills I share on my workshop during the labour and birth of my two home birthed babies, so I know it works. I am very grateful to have experienced two truly fulfilling and enjoyable births. I chose to prepare for these births using Natal Hypnotherapy as it is the only thing that I have found that could empower me to have a natural birth whilst preparing we for any unforeseen circumstance that could happen on the big day. My workshop will dramatically increase your chance of a natural birth whilst preparing you and your birth partner for anything that may happen on the day. As a midwife, I feel privileged to have seen the empowering and life changing effect that a positive birth experience can have. However sadly I have also seen women and their partners postnatally, disappointed and sometimes traumatised by their birth experience. I passionately want to do something to help change this. I believe that if every woman in the UK practiced Natal Hypnotherapy, birth as we know it would change for the better! I am fully insured, a member of the Royal College of Midwives, the Association of Improvement of Maternity Services and have been personally trained by Maggie Howell herself. Natal Hypnotherapy training is in depth, including written and practical assessments and continuous professional development. I am also very proud to be part of Edinburgh Birth and Baby Services; a collective of local services providers in Edinburgh and the Lothians who passionately specialise in pregnancy, pre-birth, birth, and post birth support for babies and parents. Please have a look at what services we provide here. I am happy to chat informally about Natal Hypnotherapy and how it can help you personally, please feel free to get in touch. The best part of the workshop as the science! Really appreciated the neurolinguistic focus and the mix of anecdotes and theory. You’re an amazing teacher. Great pacing, energy and clarity. Me and my husband went on a two day Positive Birth workshop. The workshop was accompanied by a textbook, relaxation & hypnotherapy CDs. Gemma, who ran the course, is amazing! She gave me the confidence to ask for what I wanted antenatal wise and during my labour, to trust and listen to my body. She also provided me with fantastic advice towards the end of my pregnancy as it became increasingly medicalised. My husband thought the Positive Birth workshop was invaluable. He learnt a lot about pregnancy and childbirth which took the pressure of me to explain everything to him as it was happening (just as well as my labour was fast & furious). Also, the course gave him confidence and a role to play during the birth. I would definitely recommend Positive Birth to anybody having a baby – for me it was invaluable. It would be great to have a post-natal course too. I can’t recommend Gemma highly enough. Gemma is so passionate about the natal hypnotherapy it comes across in her workshop, any fears you had just disappeared and made you confident you could handle anything that labour throws at you! I have already told all my pregnant friends about the workshop and can’t thank Gem enough for all her help and support, she is a special one!…she exceeded our own expectations! I love that it is about making the best of the birth that you have, not ‘unless its a natural birth you’ve failed.’ Gemma is great. 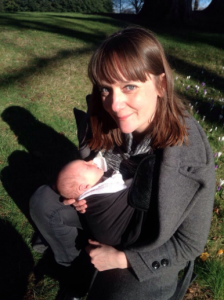 natural teacher & personal anecdotes from being a midwife made everything ring true. Gemma is lovely, knowledgable but not too ‘pushy’. She has a nice and calm approach to teaching. 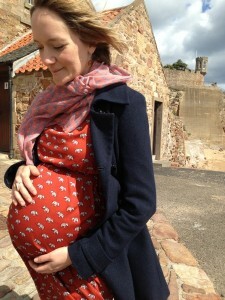 We feel very positive about what we learnt, and feel so much more prepared for birth now. Would highly recommend to others. We worked with Gemma to help prepare for the home birth of our son, and I really believe that the sessions helped me to be calm, present and connected to my body throughout the entire process. We feel so blessed to have had such a beautiful birth, and so grateful to Gemma for helping us to be ready to make it happen the way we hoped it would.Giving birth to our son was the most profoundly magical and incredible thing I have ever experienced, and it is worth every penny to make sure that you feel as prepared as possible for the birth that you want! Gemma is engaging, fun & realistic! Believable and knowledgable. She is open to feedback and to be challenged. The workshop had a ‘good vibe’! Gemma is wonderful, warm, friendly, welcoming, knowledgeable, easy to talk to, always happy to answer questions and fun. She is such a fountain of knowledge and has such a level perspective between natural birth but appreciating the benefits of medical support when needed. That is so refreshing because often information comes in extremes. I cannot praise this class enough! It’s the best class we’ve taken and would recommend it to anyone! Even to people who aren’t pregnant just because it’s so great!! The most important thing we learnt was the role of the birth partner and the techniques & practices for them to do. Also that birth will happen the way it happens BUT you can influence it, if you are relaxed. The best part of the workshop was the balance between natural and medical information with researched based evidence. Gemma’s teaching style is approachable, knowledgeable and enthusiastic. We felt we had the ability to talk to each other & ask lots of questions.